ALEXANDER CALDER, New York sculptor and artist, recently gave an exhibition of his work at the Fifty-sixth Street Galleries. 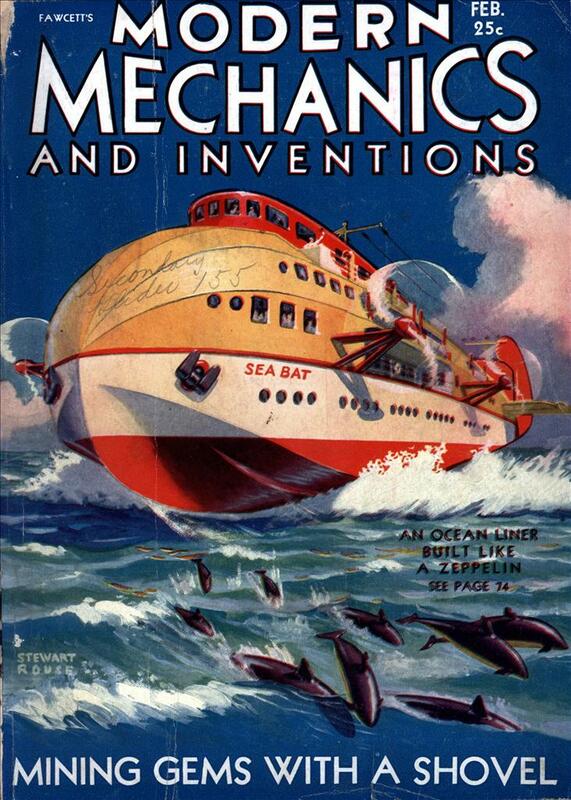 Although many fine works of art were shown, the amusing toy novelties of this versatile craftsman attracted the largest share of attention. 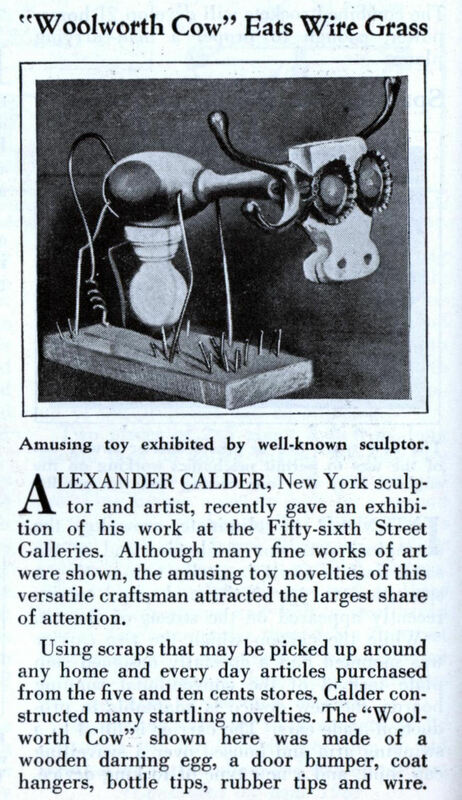 Using scraps that may be picked up around any home and every day articles purchased from the five and ten cents stores, Calder constructed many startling novelties. The “Wool-worth Cow” shown here was made of a wooden darning egg, a door bumper, coat hangers, bottle tips, rubber tips and wire. Umm….. The typo in the title is pretty funny, but you might want to consider fixing it. I was briefly wondering what ‘wife grass’ was, until I saw the actual pic. That’s kind of embarrassing. I’ll fix it now. I must say… Whatever the title, that ‘cow’ is starting to really creep me out! Now that I think about it, Calder probably didn’t talk like that. I do wonder what he thought of the write-up, though. Pleasant surprise to find Calder in Modern Mechanics. Nineteen thirty-one was just before Calder started making mobiles, I believe. It was definitely a surprise to see his work here, of all places, though he did do some kinetics that had bicycle cranks and chains and such. I love Calder. There was a great old short film about “Calder’s Circus,” perhaps it’s been Youtubeized. One of the things I always made sure to see when I went to the MFA in Boston was a Calder cow. That one is all wire (except for the eyes?) and complete with abstract cow pie.